When Alfa Laval first approached the Arabian Gulf petrochemical giant, they performed manual cleaning of their seawater coolers on a yearly basis. This was expensive, time consuming and caused unnecessary wear and tear on gaskets and plates. Alfa Laval suggested Performance Audit to collect and analyze data on the actual operating conditions and determine how clean the plates were without opening the units. The analysis would also be able to indicate whether cleaning should be performed with Cleaning-in-Place or manually. The company quickly noticed increased uptime and more efficient cooling. The cleaning time was reduced from 150 man hours to 24 by switching from manual cleaning to CIP. They were also able to ensure that the units were in good condition before the critical summer period. In addition, the company’s maintenance budget dropped drastically since implementing Cleaning-in-Place instead of using manual cleaning. Pleased with the results, the company renewed its agreement with Alfa Laval several times. 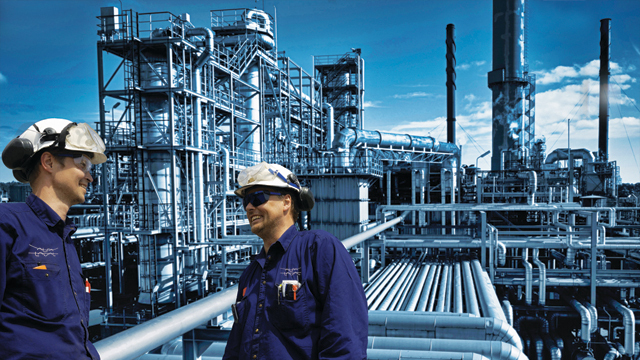 The customer is a leading Saudi Arabian petrochemical manufacturer – the producer of one million tons of ethylene yearly and the second largest producer of titanium dioxide in the world.